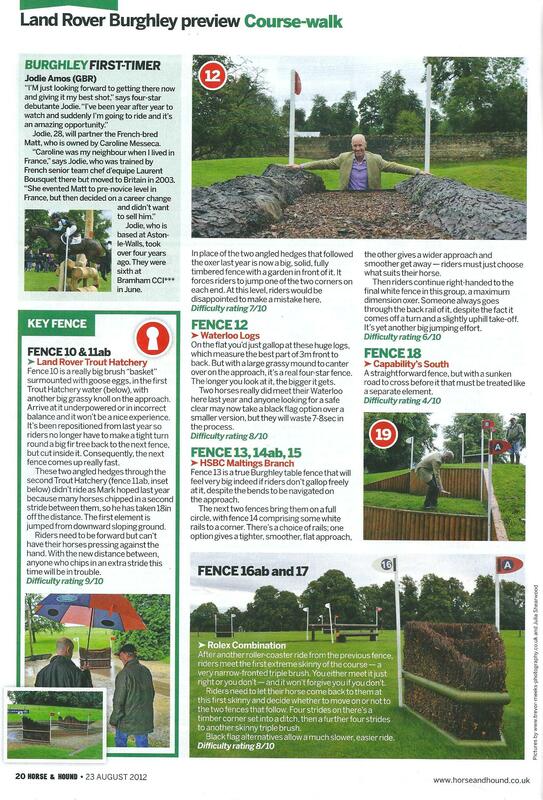 We continue listing the Burghley fences that Andrew Hoy considers to be the most difficult. The entire article is available in the recent edition of Horse & Hound. Andrew discusses the fences and tricky terrain that’s ahead for all riders. The four-star Burghley course is tricky to say the least. 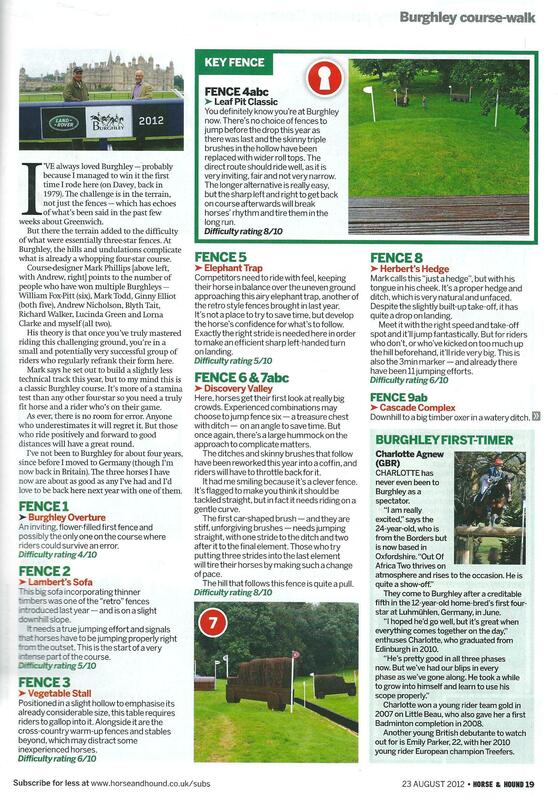 All this fence talk us really got us in the mood for Burghley!! If you are here come and say hello. Our stand will be in The World of the Horse Marquee at The Lions Bridge. “There’s no choice of fences to jump before the drop this year…The direct route should ride well, as it is very inviting, fair and not very narrow. The longer alternative is really easy, but the sharp left and right to get back on course afterwards will break horses’ rhythm and tire them in the long run.! With Badminton unfortunately being cancelled this year, Burghley is expected to be buzzing and WOW Saddles invites you to join them and share in the fun! Burghley Horse Trials, running from the 30th August – 2nd September 2012, is based in Stamford, Lincolnshire and is set to be an exciting few days. Dressage is first on the agenda and begins at 9am in the main arena. Dressage continues on the Friday with other events such as the Burghley Young Event Horse Finals and the British Bred Sport Horse Stallion Parade taking place. The spectators favourite, the cross country starts at 11am on the Saturday and will hopefully keep us all entertained. Sunday sees the Show Jumping take place followed by a parade of foxhounds and presentation of prizes. The WOW Saddles stand will be in The World of the Horse Marquee at The Lions Bridge. What helped diminish unsightly and uncomfortable skin lumps on Francis Whittington’s ride Sir Percival? This video shows WOW’s sponsored event rider Francis Whittington at Burghley 2011. “The horses are now all much freer through their shoulders both on the flat and when jumping. I love the ease of adaptability to fit different horses, being able to fine tune them and make subtle changes to the balance while on board which would be impossible in a traditionally flocked saddle. Sir Percival had lumps on his back before I started using the WOW on him, and they are now diminishing. Not only do they sit well on the horses but I can now ride in comfort too,” he says.